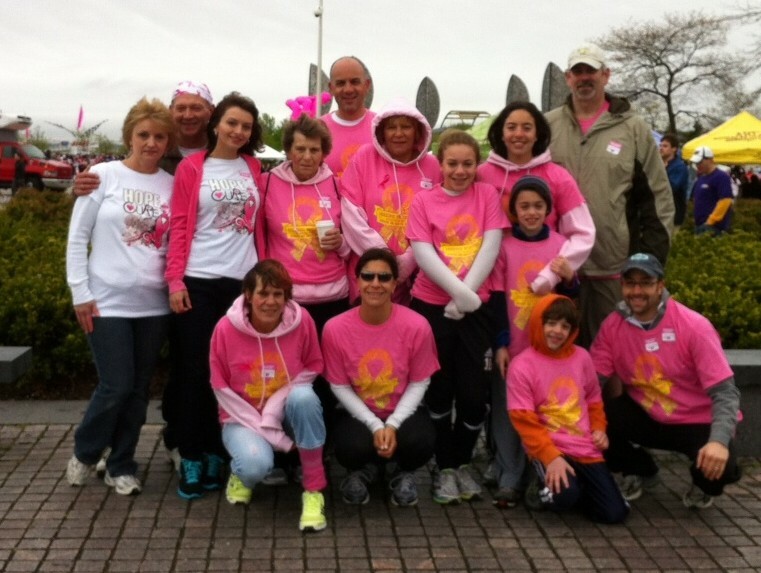 The 2012 Visual Impressions walk team for the American Cancer Society’s “Making Strides Against Breast Cancer” event in Milwaukee, WI. The old adage “Life is what you make it” is true. You can’t just sit on the sidelines and wait for something to happen, or for someone else to resolve the challenges. It’s better, and more worthwhile to jump in, do your best, and try to make a difference. I’ve always been a big believer is trying to find ways to help people. Sometimes it’s just a moment of your time, and lending support through some words of encouragement when they need it the most. Other times it’s through volunteer work or helping fundraise for philanthropy. Our Visual Impressions walk team raised $5,532 for ACS and we were happy to do it. Of all the teams we were the sixth best in the city. Some of our team members were better at fundraising than others, but that’s not the point. The point is that everyone made and effort and it went towards a great cause. See how you can get involved around you. The feeling you get from being a part of something will make it all worthwhile. Trust me on this one.